A pure cocoa made using Arriba cocoa from the Guantupi River in Ecuador. Possessing an intense cocoa flavour this bar has a low acidity, earthy taste thanks to its long conch yields. 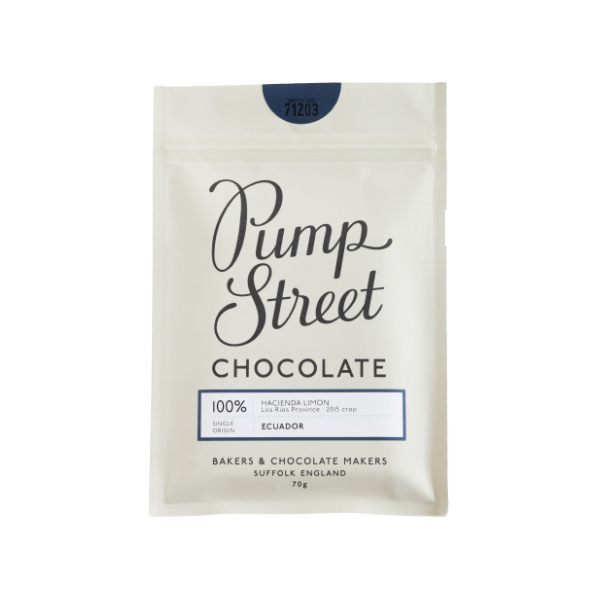 With no added sugar this is perfect for those who love powerful flavours and pure chocolate. Nice and creamy, easy and very enjoyable to eat. An approachable 100% chocolate.